Matt Frewer brings a new interpretation to the idiosyncrasies of what makes Sherlock a compelling character and several of the stories portrayed are unique in never having been filmed or portrayed so closely to the written word. WHAT FUN! ! ! ! ! ! 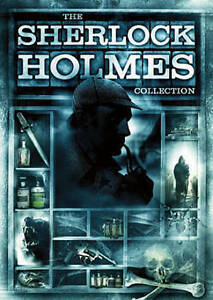 What fun to compare the various actors portraying the great Sherlock Holmes! Matt Frewer & Kenneth Welsh are extremely credible. This is a wonderful addition to my Sherlock Holmes Collection. Haven"t seen the new movie yet, but I am looking forward to another comparison.